Stockton may be considered a podunk town (we did make it on Forbes‘ worst cities to live in list multiple times), but it has some redeeming qualities — I swear by Podesto’s deli sandwiches, Tiger Yogurt is AMAZING, we’re the only city in California with a Dillard’s and they have awesome sales, Crossroads Trading Co.’s only outlet store is in Stockton, and we have some of the best thrift stores around! My friend Marcos told me that Superior Thirft has 20% discounts for students with IDs every Thursday, so we made plans to go yesterday along with Shanice and Jen. 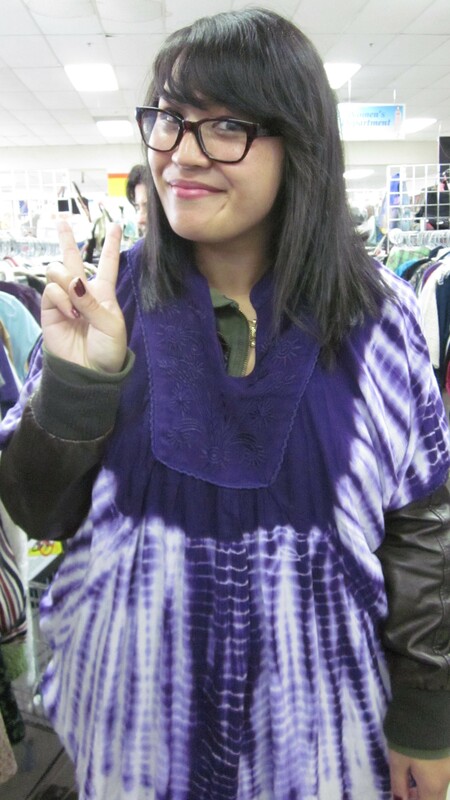 This purple tie-dye poncho/shirt hybrid was so effing ugly I had to try it on. I just wanted to have an Ugly Betty moment. Anyway, I managed to find a silver locket, a rodeo belt buckle, a maroon bow tie a la Doctor Who, a copy of Neil Gaiman’s The Graveyard Book, a mustard yellow Mr. Rogers-esque cardigan, a Michael Kors dress, and a purple pave hippo ring for my mom. I found a few other items as well, but they didn’t work out — like the knitted TARDIS blue sweater with gold stitching I found. It was hella itchy and unflattering. I also tried on a Bill Cosby-esque cardigan, and a red dress from the 80s (long sleeve, gold buttons, chain pattern throughout). I thought it was one of those things where it was so ugly, it might be cute. But alas. I was wrong. Mustard yellow cardigan by Casual Corner. My mom said it's probably from the 80s. 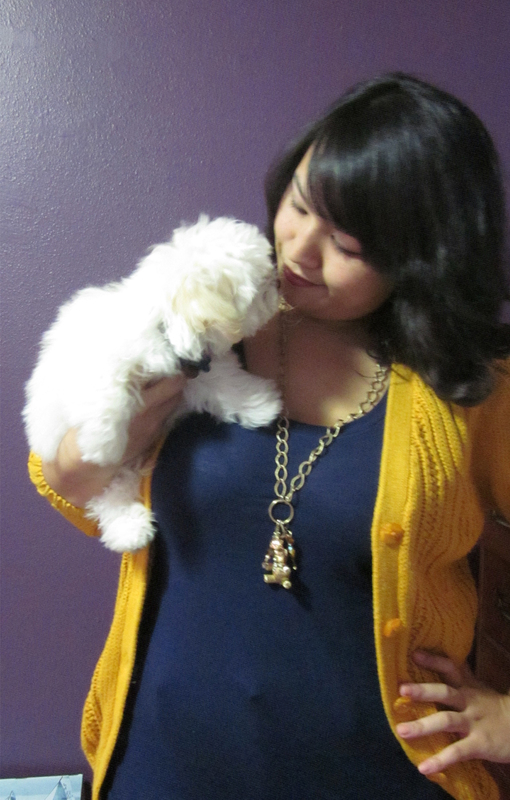 And Rory is my blog's unofficial mascot. 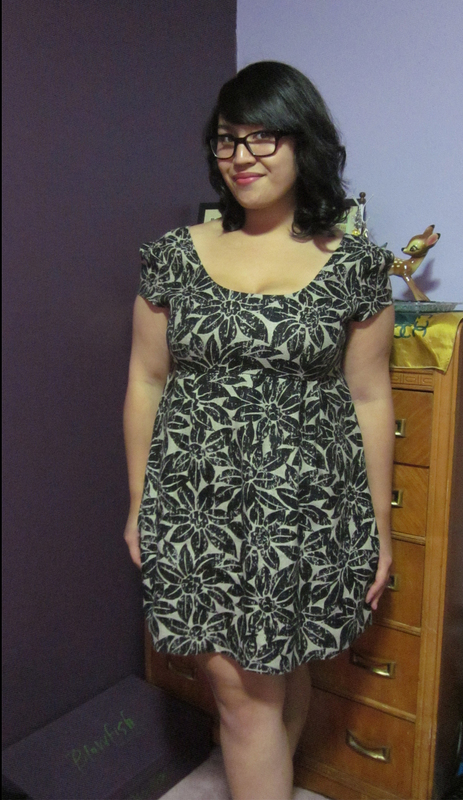 This Michael Kors mini dress was only $10! 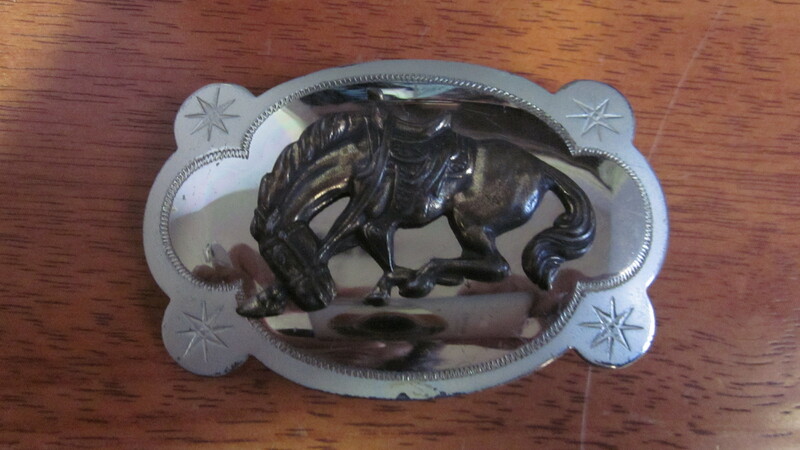 I've been wanting a rodeo belt buckle since May. Better late than never I suppose. 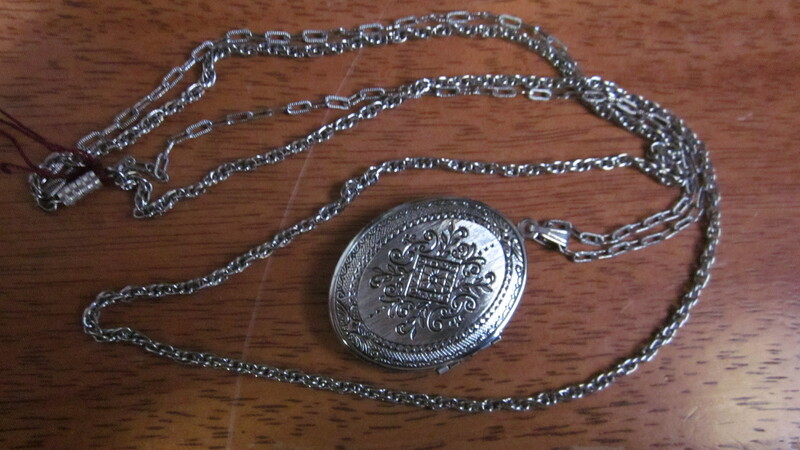 This locket kind of reminds of the one in the film adaptation of The Secret Garden. Marcos managed to snag some nice button-up shirts (and I picked one out for him!) 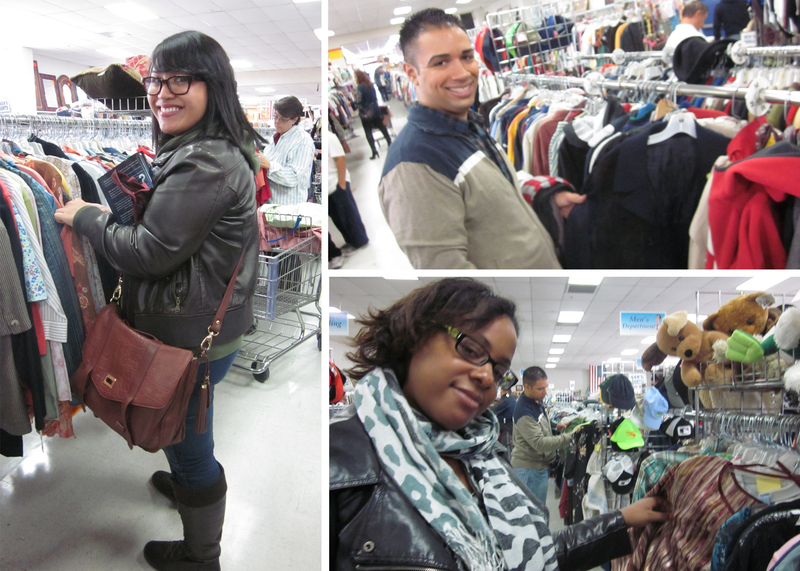 and a swanky Triple 5 Soul khaki jacket, Jen found an authentic military jacket, and Shanice got a fancy grey sweater. I would’ve taken pictures of their loot too, but I was too busy complaining about being hungry in the midst of shopping. All in all, the four of us got some pretty nice swag. Next Post My, What Big Paws You Have! One of my friends found a MK bag for $3! Great post! I do a weekly – Thrifting for Treasure! Come check it out sometime! I’ve truly experienced issues finding plus size clothing. Thank you so much friend for simply writing this specific posting to help girls feel better about themselves!